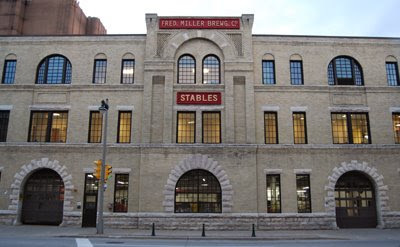 This building sits in the heart of "Miller Valley", and was (apparently), the stables for the Miller Brewery. I suppose it makes sense that when they were delivering beer by horse-drawn wagon, they needed somewhere to put the horses. :) Today, the building appears to be a garage at the street level.